Darren & Chuck. 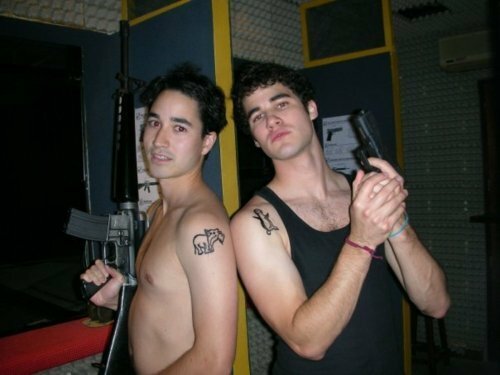 “bros at the shootin’ range with their matching tattoos”. Wallpaper and background images in the Darren Criss club tagged: darren criss chuck criss brothers. This Darren Criss photo might contain kulit, skintone, bogel berwarna, dengan telanjang separa, bogel tersirat, kulit skintone aurat berwarna, and separa bogel.